Younger-looking skin while you sleep. Soothe sensitive skin due to the exposure of urban pollutants and turn your skin into the clear, bright, and shiny in the morning. 1. Apply the product over your entire face in circular motion. 2. Massage in the middle of the face (smile lines) and both sides of the nose in upward strokes. 3. Massage under the eye with your middle fingers and move upwards. 4. 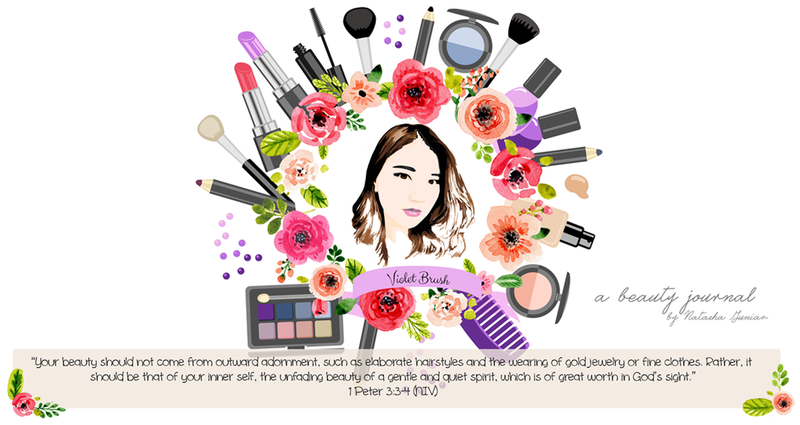 Let the product fully absorbed into the entire face. 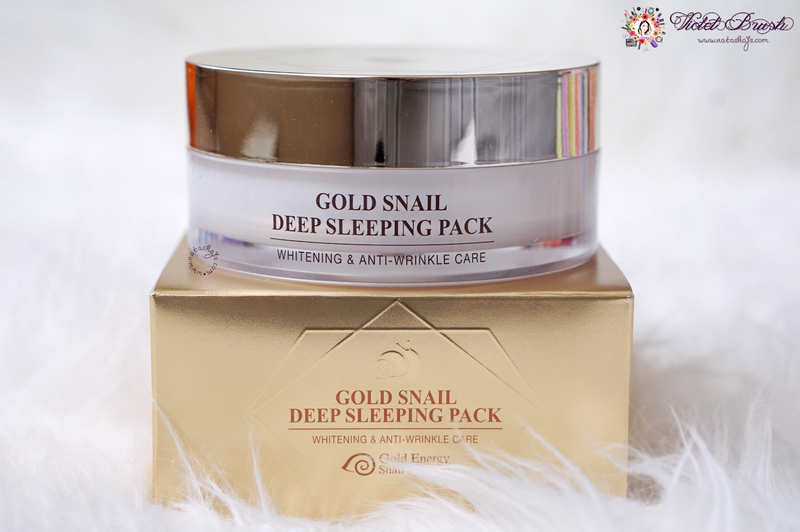 The packaging of Gold Snail Deep Sleeping Pack is pretty basic, in my opinion. It comes in white-silver jar with a gold-colored box. 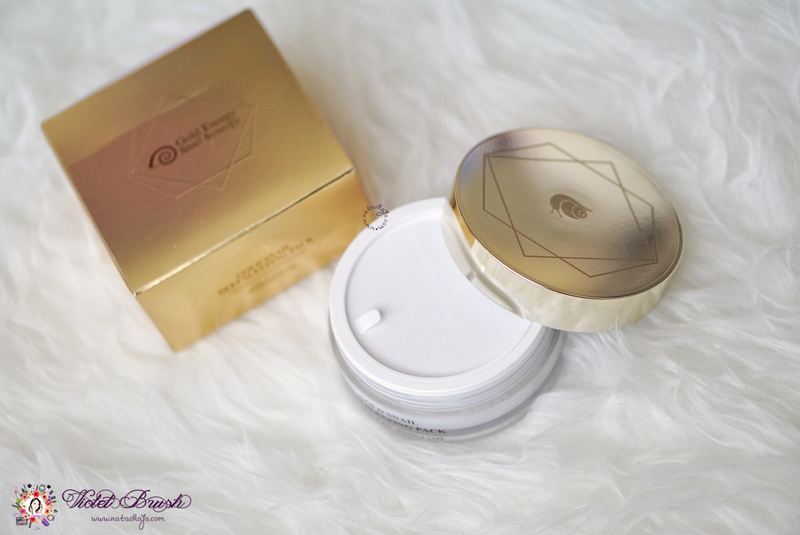 The 100 ml jar is pretty large in diameter but short in height, a unique size for cosmetic jar. 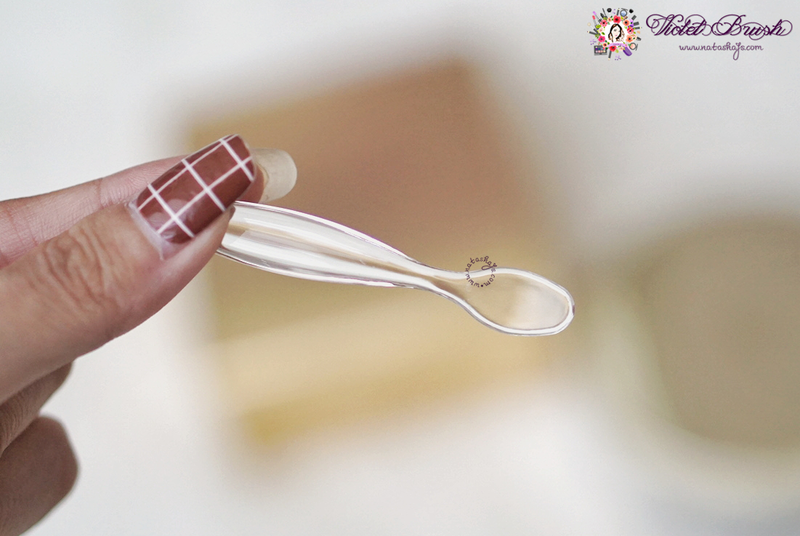 I'm pretty that they include a spatula inside and the jar comes with separator, ensuring the product's hygiene. Gold Snail Deep Sleeping Pack has a thick gooey texture with golden color and gold sparkles. It's pretty hard to scoop out the right amount because of its gooey texture. You either take too little or too much. Or at least, I never got the right amount. On the other side, I really love the scent of this sleeping pack. I'm not really sure how to describe the scent but it's not disturbing since it's not too strong. Once applied, it feels really thick and sticky on the skin. It also takes very loooooong time to absorb. I'm personally not a fan of the texture. I always need to tie up my hair after applying Gold Snail Deep Sleeping Pack or else, my hair will stick everywhere on my face. Even after the night has passed, my skin still feels sticky in the morning. 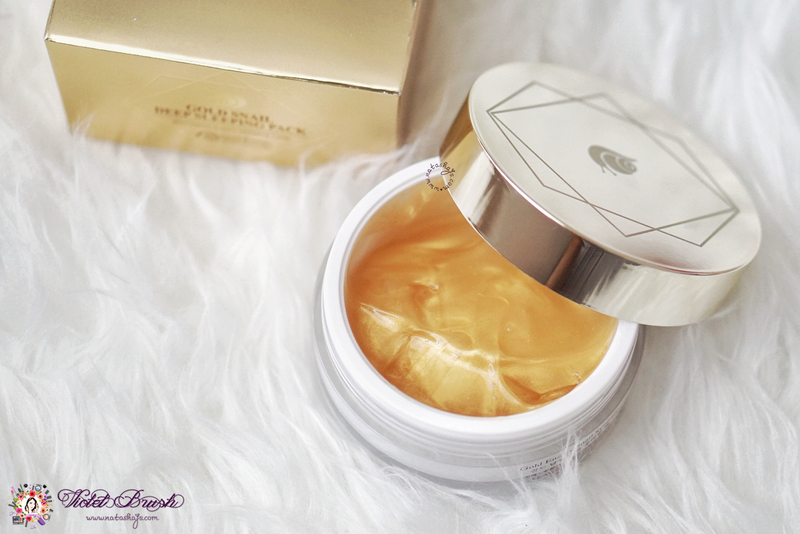 Though I'm not a fan of its texture, I'm quite impressed with what Gold Snail Deep Sleeping Pack does to my skin. Overnight, it reduces the redness on my skin and calms my skin. My skin also feels more supple in the morning. The past month, I've been using this on and off, probably once to twice a week on average. I'm not using it very frequently because as I said above, I'm not a fan of its texture. 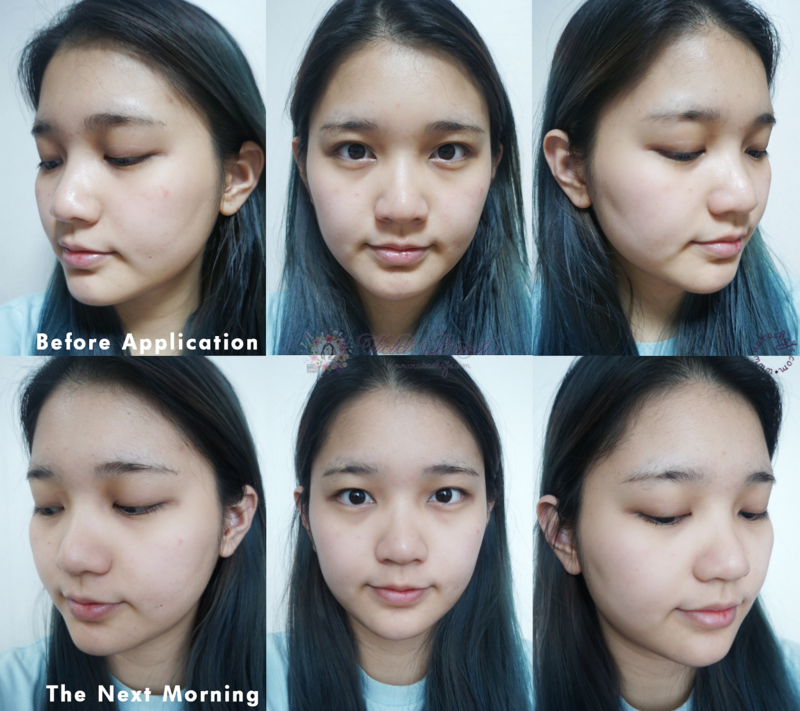 I'm not seeing any significant change on my skin, probably because I haven't been using it as regularly as I should. Well, I'm happy enough that it reduces the redness and makes my skin plumper after each use though. Maybe not. It's too pricey for a student like me.